The year 2017 is almost gone and that means we have to start thinking about carnival season again. Let’s start with the most important item for this coming carnival season. As you may know we are going to be all focused on one thing and that is Robert Jeand’or y Su Solo Banda Show. 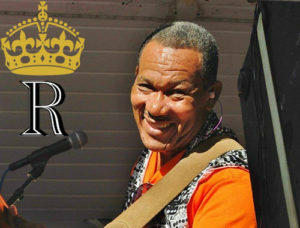 Robert y SBS will be celebrating 25 fabulous years are our house band for Aruba’s carnival. This is besides the fact that he himself has been in the business industry for over 50 years. An achievement like this is not to be taken lightly and we want to celebrate this together with all our participants. 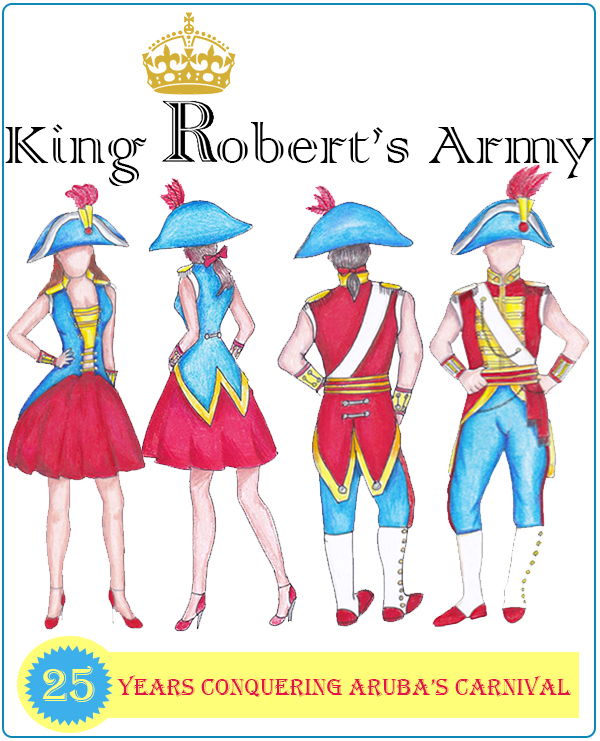 So for this year we had to make a costume that celebrates Robert’s legend. We received some costume ideas from our participants and decided for a little odd theme. We decided to celebrate Robert’s accomplishment by bringing to the light the army of participants who join us every year just for the opportunity to dance and jump to music of Robert & SBS. This design was submitted by the duo of Gershwin Lee & Louise Rafael – Croes, two of our loyal participants and frequent designers. Naturally you want to know when you can come in a register for carnival 64 with LLB. So here is the information regarding registration for LLB. Please do remember that we have a Maestro POS machine that we rather use so you do not have to come with cash money.